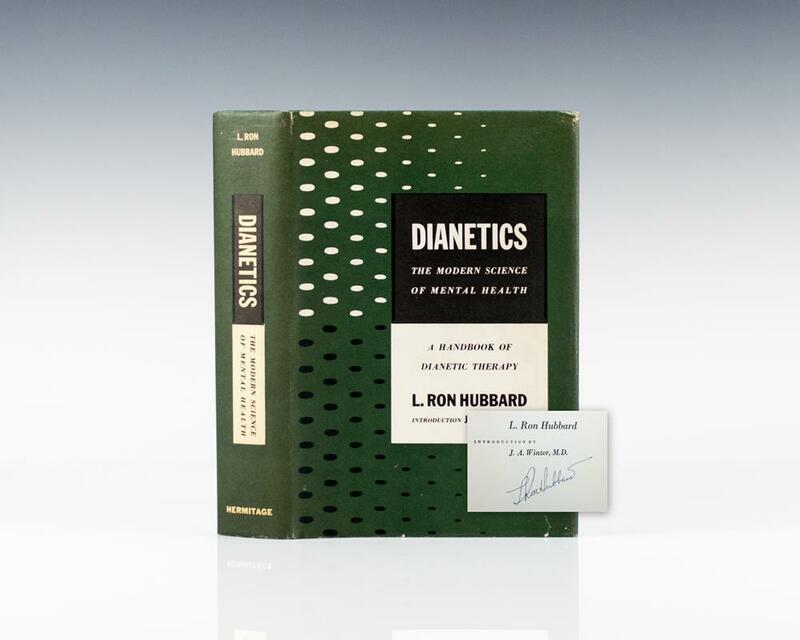 Dianetics The Modern Science of Mental Health A Handbook of Dianetic Therapy. New York: Hermitage Press, 1950. First edition of the author’s most well-known work. Octavo, original cloth. Signed by L. Ron Hubbard on the title page. Fine in a fine dust jacket with a single short tear. Housed in a custom quarter morocco clamshell box. Exceptionally rare signed. 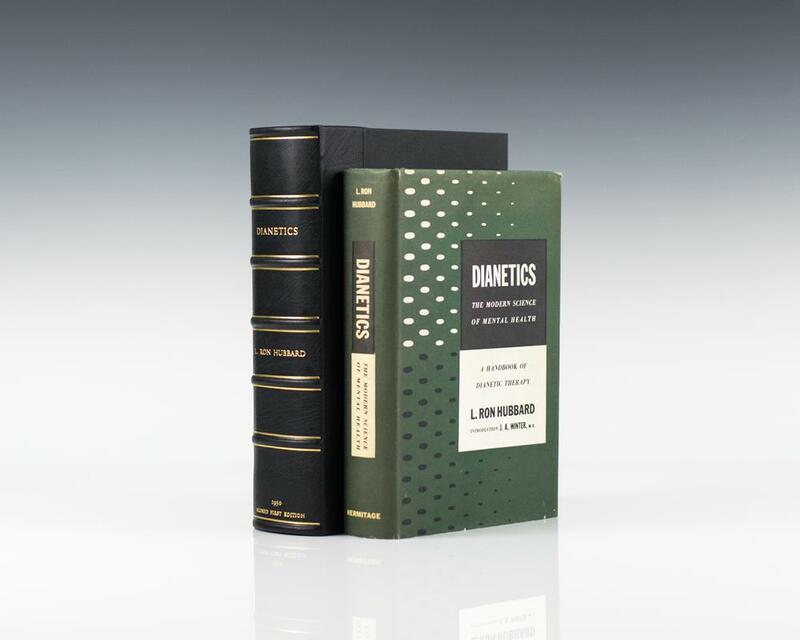 Dianetics has remained a bestseller for more than 60 years and has sold over 20 million copies. Hubbards's work spawned a movement that spans virtually every country on Earth, and has indisputably become one of the most widely read and influential books ever written about the human mind. The Koran, Commonly Called the Alcoran of Mohammed, Translated into English Immediately from the Original Arabic; with Explanatory Notes, Taken from the Most Approved Commentators. London: C. Ackers for J. Wilcox, 1734. First edition of George Sale’s important translation of the Koran, the first to translate directly from the Arabic into English, with genealogical charts, folding map of Arabia and folding plan of the Great Mosque of Mecca. Quarto, bound in full calf, gilt titles and tooling to the spine. In near fine condition with the text clean. Housed in a custom clamshell box. An exceptional example. First edition published as one volume and first illustrated edition of Austen’s third published novel. Small octavo, bound in three quarters period leather over marbled boards, engraved frontispiece and title vignette. In very good condition. The Trianon Press: Paris, 1966. Signed limited edition of Lithuanian-born American artist Ben Shahn’s magnificently illustrated retelling of the Haggadah for Passover. Large folio, original wrappers, gilt titles to the front panel, loose leaves as issued, illustrated by Shaun with 21 color pictorial borders and line drawings and an additional double-page color lithograph also signed by him. One of only 228 copies signed by the author, this is number 34. Text printed in Hebrew and English. With a translation, introduction and commentary by Cecil Roth. Near fine in the original glassine which is in near fine condition. Housed in a custom full parchment padded gilt clamshell box with a silver clasp. A beautiful example.